The prototype RW1 co-drivers watch was developed when in 1998 Robert Thacker – managing director of AST limited Äì the UKÄôs leading stopwatch specialist, was introduced to George Donaldson, former rally driver and well known WRC personality.¬ The two joined forces. Donaldson had the vision and Thacker the technical ability and manufacturing contacts to make the project happen. DonaldsonÄôs regular work in the World Rally Championship brought them into contact with the sports greatest co-drivers including World Championship winning Robert Reid. Many of the functions of the watch were incorporated as a direct result of consultation with the top co-drivers. 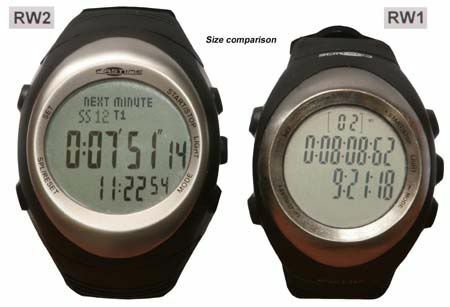 The first RW1 co-driversÄô watch was launched in late 2002 and was used by all of the WRC works team co-drivers at that time. Word quickly spread and the watch was sold to co-drivers from over 30 countries. Demand for the watch continued to grow, so in 2004 work began on the specification for a MK2 co-driversÄô watch. ÄúWe listened to the co-driversÄô feedback and incorporated many of their suggestions and a few of our own ideas into the new specification. We also decided to move production to a new facilityÄù, commented Thacker. An early sample was produced in 2006. 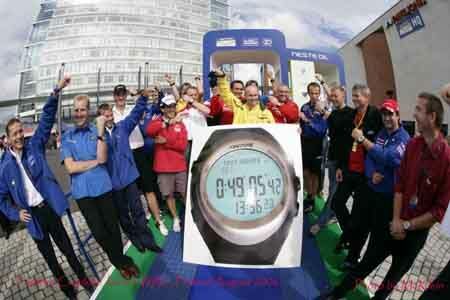 The watch was a mock up for testing the programme functions of the watch and case design approval. Some WRC co-drivers were shown the watch at Monte-Carlo in January. ÄúThe initial reaction was very encouraging. They wanted to use the watch straight awayÄù, said Thacker. The development process continued with a production date set for late July 2006. Engineering samples arrived in late June and were tested extensively. Daniel Elena, Timo Rautiainen and Phil Mills were also given the samples to test and the results were very satisfactory. ÄúBy early July we were ready to go for full productionÄù, said Thacker. The new RWII is a completely new design, much more robust with a bigger and better display. The watch is available for 99 UKP and can be ordered via http://www.astopwatch.co.uk. Further information about its features and ordering via this link.